iPod? Feh! I’ve got an inon-dash Digital Audio Player. It’s detachable too! 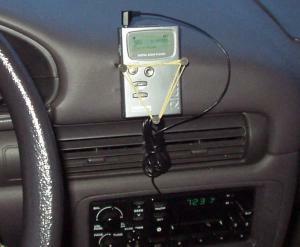 It connects to the car stero through a sophisticated wire-connection to a cassette-style adapter interface. It also connect to my Mac using a USB cable and runs on a single AA battery. The Digital Music Revolution is here! Posted on Thursday, January 8th, 2004 at 12:26 pm. Subscribe to the comments feed. Both comments and pings are currently closed. Post on your own blog.